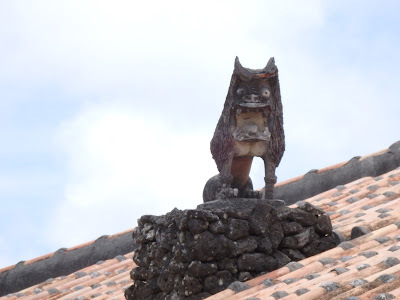 The walk started from Northern tip to Down South of Okinawa island. It took 2 weeks non-stop walking in a heat & in a rain. Central Okinawa, Military Bases and Concrete Jungle... Hardest part of the walk. But Majority people live in this are, so Need to Walk & Pray. Southern Okinawa is where hardest battle was happened during the Battle of Okinawa on 1945. Over 200000 died US, J.P. and Okinawans just in 5 months. Many Memorial sites in Southern Okinawa. Also June 23rd, Ceremony is held at Mabuni Peace Memorial Park each year with attending of Prime Minister of Japan and Governor of Okinawa. Start from ASHIMUI UTAKI the sacred site. 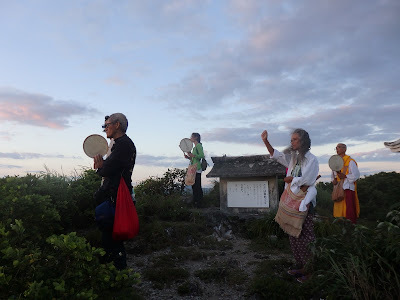 Top of the mountain over view the island of Okinawa with Full Moon & Sunrise.